Just got into my mondeo and found that the dab part of the radio was not working again exactly the same time as Swilt 17051.It has worked since the 7th October without any problems.Just wondering if it is anything to do with the damp weather just like my reversing camera which does not work after shower of rain but works ok when it's dry.Going to book it in again tomorrow and see what bulls--- they give me again. Switched radio on yesterday morning and to my surprise the dab part of radio is working ok again.Im"n convinced its damp thats my problem as the camera does not work every time we have a shower of rain,and the last time we had heavy rain a couple of weeks ago like the weekend the radio would not work for an hour or so ill just keep my fingers crossed for now and see what happens but I dont have much faith in it lasting for long. ok just got mine back, they couldnt fix it this time with Software so put me a new DAB Module in and all working fine Lets hope it lasts better than just a few months this time, but at least they have got it going. Interesting they replaced the DAB module, maybe you had a "real" fault this time ? 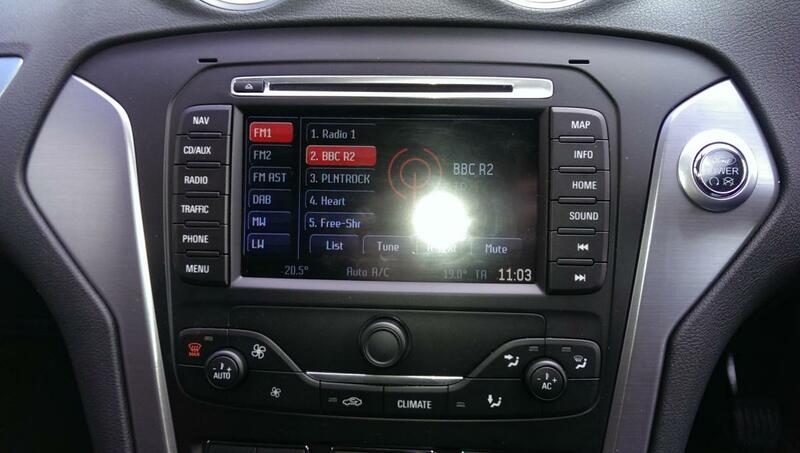 When you say they replaced the DAB module, is that a component of the combined radio/sat nav unit or the whole thing ? They told me its some module sat behind the radio player, and as this is 2nd time its gone wrong for me in last couple of months they decided to take that step. Fingers crossed thats it sorted now! I was beginning to hope that I had avoided this problem on my 2014 TitX, and then this morning, No radio! in fact No audio at all!. It appeared to have 'crashed' completely. It would not even respond to the 'Radio' display selection button. Using the Converse controls I could select Radio but changing stations did nothing other than affect the Converse display, It was stuck on the DAB band though. Everything other than Radio/Audio worked fine. NAV, Climate,Phone etc albeit No audio from any of them!. Eventually when I reached the office, I pulled the fuse for the Audio/BT (F43 in the Engine compartment) and it's working again. wow thats a worse case than mine, all that I had affected was DAB each time... After you pulled the fuse do you have to put a keycode back in or anything like that for radio? Or I guess that is only if you pull the battery... I never tried either on mine as I dont have a keycode although not sure if modern car radios still have them? I have just picked up my 2015 mondeo with sync2. My DAB was working fine until tonight, I was listening to BFBS radio and turned on the rear windscreen heater and the sound went off, turned the screen off and the sound came on again. Is the DAB aerial on the rear screen? Then, on the way home the DAB wouldn't pick up any stations, FM would. I turned the engine off and on again (old faithfill) and it worked again. Is this the start of problems? Hi thats different to the issue I had, once my DAB went it went and never came back again until fixed at the garage.. 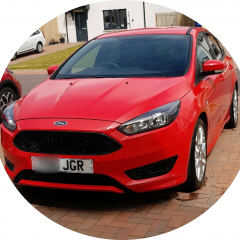 The problem on my 2013 model is similar Jon ro 20 09 when I switch rear windscreen heater on I get a lot of distortion on the dab radio stations making it Unlistenable , it works fine again when I switch it off also rear view camera won't work in wet/damp codicils this is after the car has been back to ford dealer several times .I'm just p---ed off with now probably buy another make of car next time. Well mine has gone off again, after about 4 months. No reason. Stopped the car, turned it off and got out, was only out for 5 mins, came back in and Dab wont work. Same as before, shows my saved channels on the screen but wont tune in to anything else, annoying thing is, it was only in the day before for a service. Now going to have to waste another day taking it back. I have a mkV mondeo with the sync 2. The DAB works well but when you turn on the rear heated screen the DAB just stops working, it goes silent. As soon as you turn the screen off again it starts working. Any ideas why this would happen? Disconnect the battery for a few minutes and it will work again. Very likely it will, but disconnecting the battery will mean that 'one-touch' windows will need resetting and the ecu will need to re-learn, amongst other things . Pulling fuse F43 ( Radio/BT/NAV system) in the engine compartment fuse box will probably achieve the same results without the side effects, it certainly worked when I lost all sound. However I don't see why I should have to do this, these functions should work and if they don't then Ford should provide the dealers with the means to fix them. Fortunately I have a small retail Ford dealer locally and he's good at getting things done. It's one of the few places left where you can actually go and talk to the technician whose done/going to do the job and discuss any problems. So a quick dash to the Garage and they offered to get the radio code for me for free, which meants having to take load of parts out to get the radio out to get a code for looking up the radio key code. I have the same car and had exactly the same problem. Thr unit can be reset by disconnecting the car battery for 10 minutes. I have a Mondeo MK4 Titanium X Business Edition, with Touch Screen Sat Nav. The problem I have is that the DAB has stopped working after only having the car for a couple weeks from new. According to my local Ford garage there needs to be a firmware update which is "coming"
Do anyone know if/when this might be, or any other quick fixes? I have attached a photo of unit for reference..